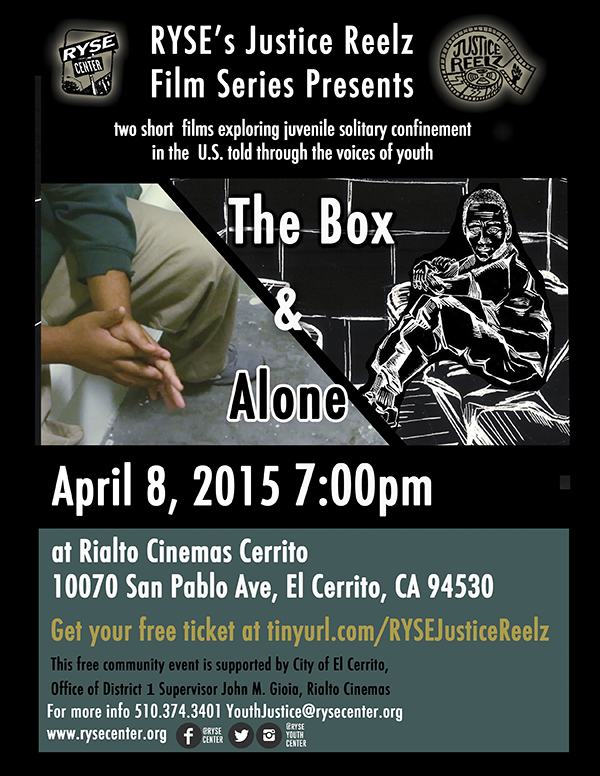 On April 8 at 7 p.m. RYSE Center in Richmond will be presenting two short films at the Cerrito on the subject of juvenile solitary confinement. Admission to the two movies—”The Box” and “Alone”—will be free. You can get your tickets by clicking on this link. This event is supported by the City of El Cerrito, the office of County Supervisor John Gioia, and Rialto Cinemas. Please come see these locally-produced documentaries on this important topic.